Collingwood FC Comes to Visit! 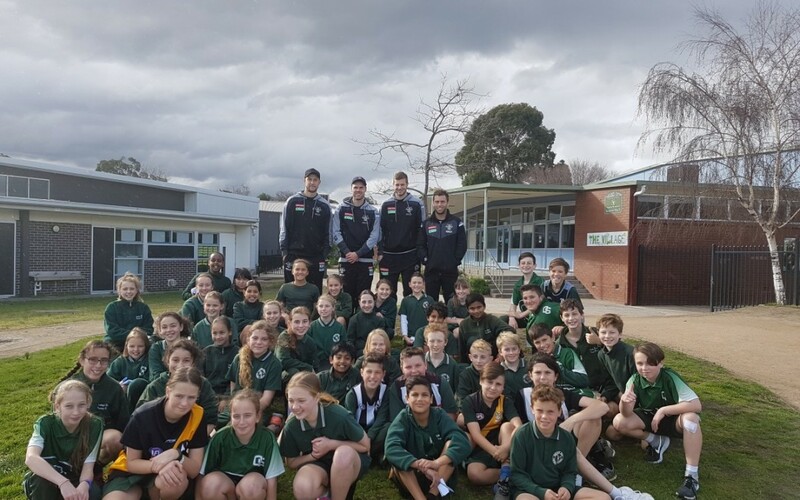 On Monday, the Oakleigh South PS Girls and Boys footy team were lucky enough to meet four Collingwood football players. The players included Ben Reid, Matthew Scharenberg, Jarryd Blair and Rupert Wills. Students completed drills such as passing the football to each other, and kicking it into the goal and trying to hit the bin! Students were also split into groups with one of the players and worked together to bring the football down the oval and kick it into the goal as a group. Students all had the opportunity to ask questions and had the chance to get autographs from the players. An enormous thank you to Mr Rowe for organising the event and the Collingwood Players for taking their time to come and see us.